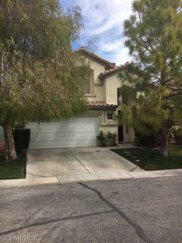 See today's Rhodes Ranch homes for sale & Las Vegas real estate listings below. Located near the base of the majestic Spring Mountains, the Southwest Las Vegas Rhodes Ranch community in Nevada is a wonderful place to call home. For information about Rhodes Ranch properties for sale in Las Vegas or to schedule an exclusive home tour, contact your Rhodes Ranch real estate experts today. Find a home in Rhodes Ranch? Call VegasOne Realty, your Las Vegas real estate team, at (702) 460-8143. We are Rhodes Ranch real estate agents and experts on the newest home listings in Las Vegas. This development is situated approximately ten miles from the famed Las Vegas Strip, and it offers plenty of amenities to complement its exceptional location. Affordable Rhodes Ranch homes are waiting for you to come see everything this great community has to offer. Gorgeous landscaping and exciting recreational activities await you in this safe guard-gated community. There is always something fun to do: Play on the championship golf course, visit the Fun Zone Water Park, or relax by the resort-style pools. Want to work up a sweat? Look no further than the 35,000-square-foot recreation center. With a wide variety of single-family homes, the community is sure to have something to fit your personal style. Buying or Selling a Home in Rhodes Ranch? Contact VegasOne Realty to get more information about buyer or seller representation in Rhodes Ranch. Planning to get involved in the Rhodes Ranch real estate market? Review our CMA (comparative market analysis) form to quickly see your Rhodes Ranch property value estimate within minutes.